Lucy Takeda is just fourteen years old, living in Los Angeles, when the bombs rain down on Pearl Harbor. Within weeks, she and her mother, Miyako, are ripped from their home, rounded up--along with thousands of other innocent Japanese-Americans--and taken to the Manzanar prison camp. 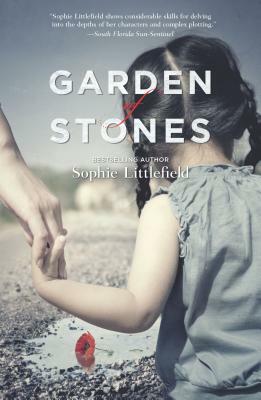 Sophie Littlefield grew up in rural Missouri and attended college in Indiana. She worked in technology before having children, and was lucky enough to stay home with them while they were growing up. She writes novels for kids and adults, and lives in Northern California. Visit her online at www.SophieLittlefield.com. After Pearl Harbor, many Americans worried that citizens of Japanese descent, especially those living on the West coast, might be acting as spies and traitors. Are such fears understandable? Can you think of similar events in recent history? How can we avoid reacting as we have in the past, with suspicion and intolerance? Miyako’s husband was nearly twice her age, and her only friend is fifteen years her senior. What do you think drew them together? How does Aiko try to help Miyako, and do you think she succeeds? How did camp life affect their friendship? How might Lucy and Miyako’s experience in the camp have differed if Renjiro had not died? The Takeda family was wealthier than many who were interned. Do you think that made the transition to camp life harder or easier? In what ways? George Rickenbocker, Reg Forrest and Benny Van Dorn created a sort of underground social network at Manzanar. How do you suppose they got away with it? How did internees figure into it? Do you think George and Benny were aware of Reg’s involvement with Jessie, and if so, why did they tolerate it? What finally drove Miyako to her desperate act in Manzanar? Do you feel she had other options, or was it the only way she could save Lucy? In the deaths of George Rickenbocker and Reg Forrest, was justice served? Do you think Patty truly accepted the possibility that her mother killed Reg? Is she at peace with her mother’s choices? Patty grew up thinking her mother never experienced romantic love, but in fact, she did—twice: first with Jessie and then with Garvey. Why do you think Lucy continues to keep a few secrets, even after telling Patty nearly everything about her past? Garvey is considerably older than Lucy. By contemporary standards, their relationship would be considered inappropriate. Do you think their relationship was genuine? Could they have survived in Lone Pine as a couple? Taxidermy is more than an avocation for Garvey, and later, for Lucy. What is the symbolic significance of taxidermy in the novel? Why do you suppose each is drawn to it, and how does it bring them together? Why do you think Jessie chose to contact Lucy and pursue vengeance after so many years? Had Patty not intervened with Van Dorn, would Lucy have taken the fall for her childhood sweetheart? Disfigurement is a recurring theme in the book. Besides Lucy, what other characters might be said to be wounded, either literally or figuratively? There are several starkly different portrayals of motherhood in the novel. In what ways, if any, could each of these characters be considered good mothers?